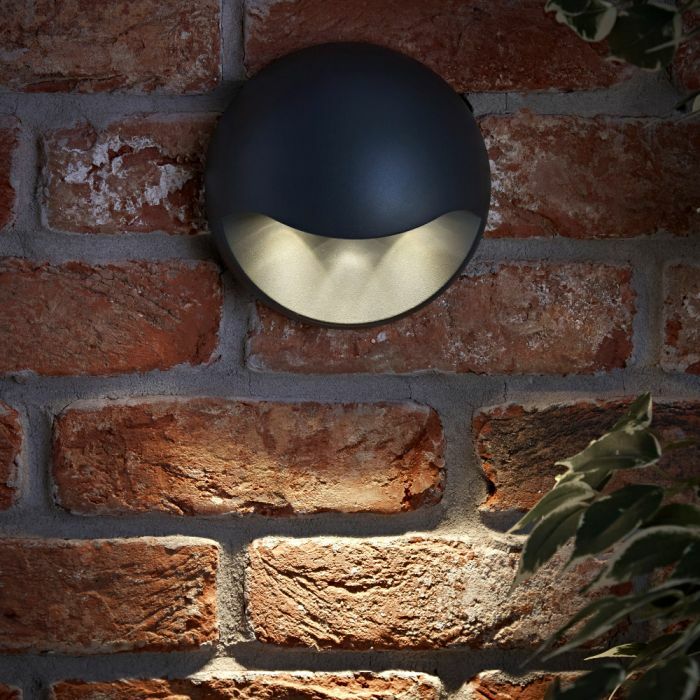 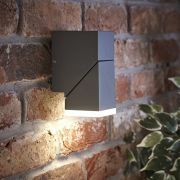 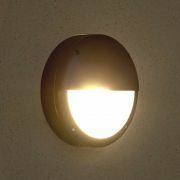 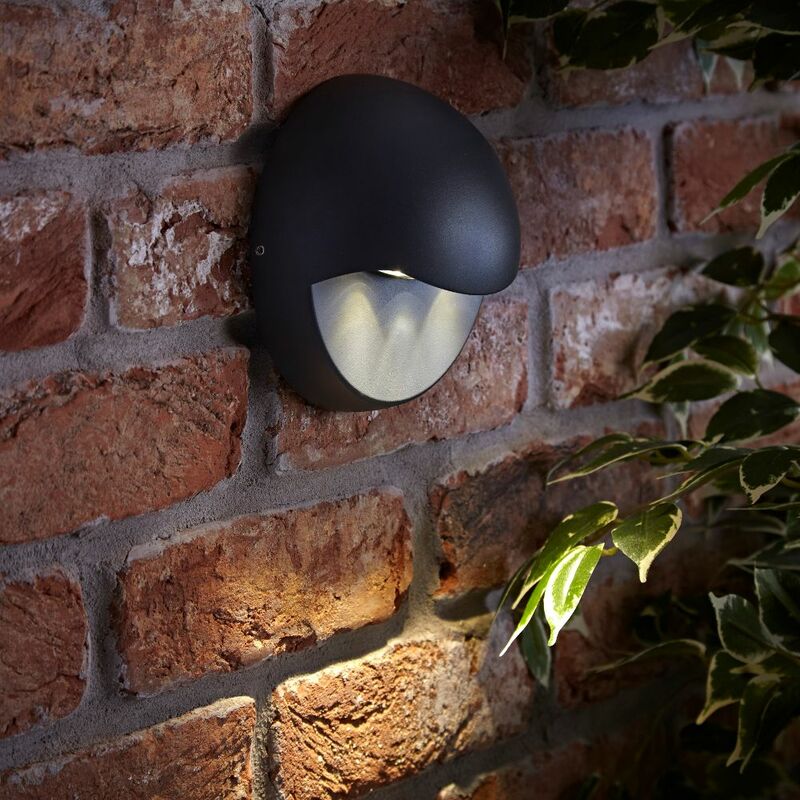 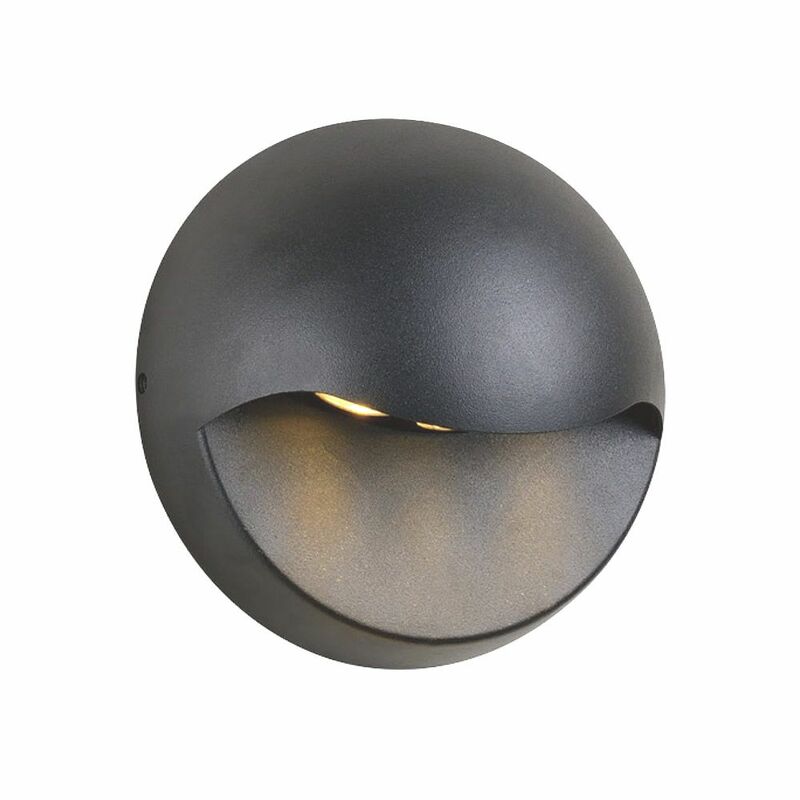 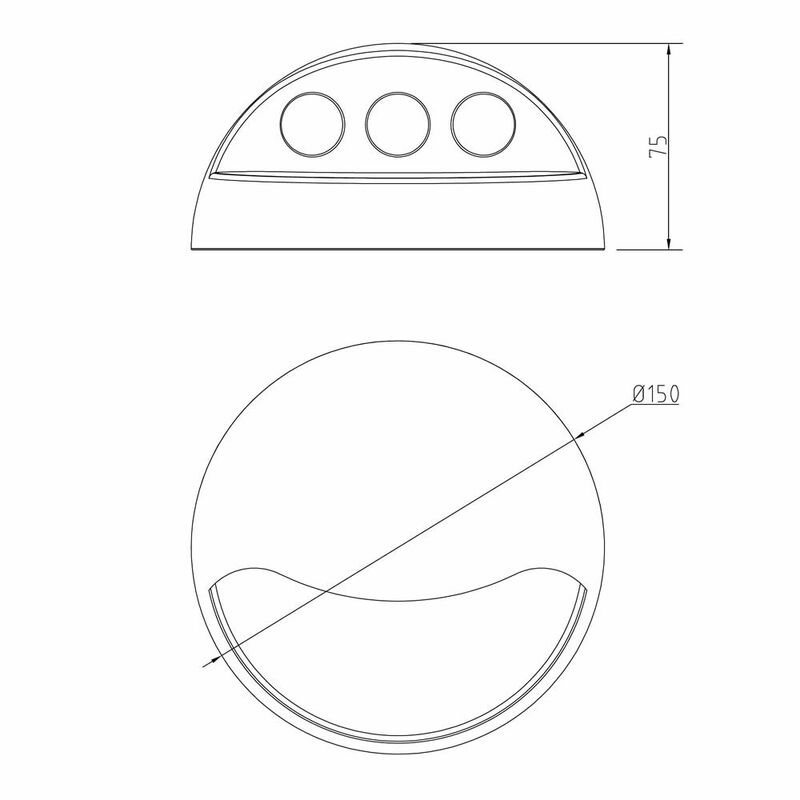 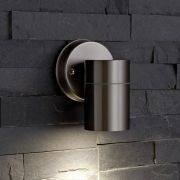 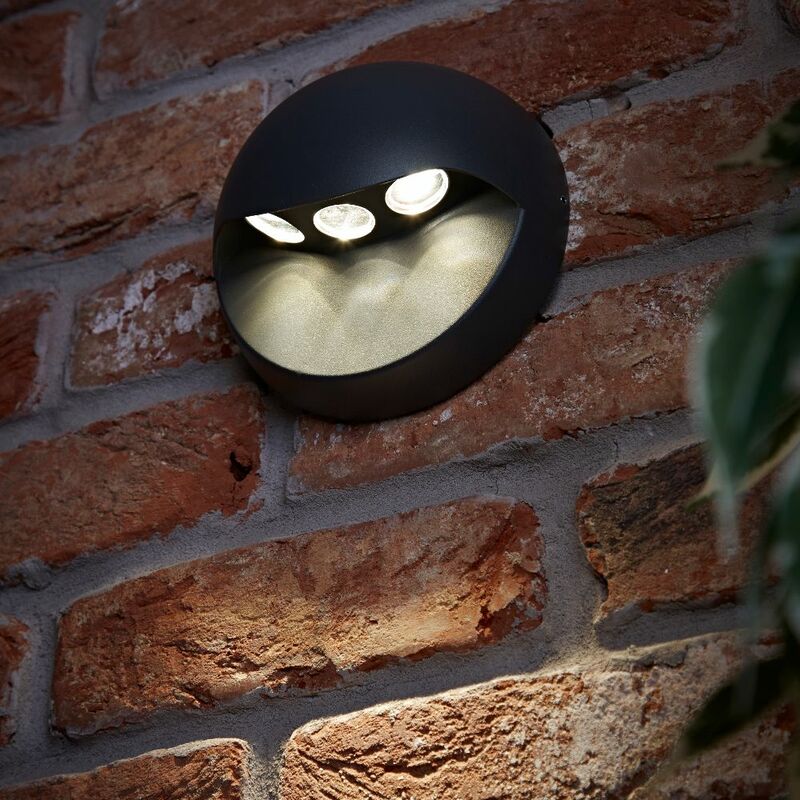 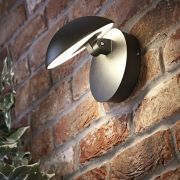 This modern round outdoor wall light houses an energy-efficient warm white LED projected through three beams of light. 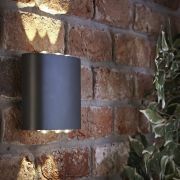 Its durable aluminium body features a contemporary anthracite finish to complement modern garden furniture and accessories. 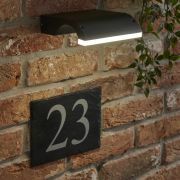 Perfect for illuminating your house number or highlighting plants and decorative garden features.